Family trips are great ways to bond, make beautiful memories, and teach your children more about the world and the people within it. They also tend to be very stressful. In some cases, you might just be tempted to go to a destination entirely directed to your kids. However, this is a mistake for several reasons. One, you don’t get to enjoy the trip nearly as much, and two, you don’t get to bond together as a family. Family vacations should be about learning and growing together, and to perfect your next family trip, all you need to do is follow these steps. Kid-friendly destinations are not just theme parks or resorts. A kid-friendly destination is anywhere in the world that will accept children. To put this into perspective, everywhere except adults-only entertainment venues, like casinos. Your children will have as much fun exploring a new city as you will, so don’t ever hold back when choosing your next destination. Adult-only venues are geared for adults, and far too many kid-venues today are geared just towards children. To vacation together as a family, choose a middle-ground. Wherever you choose to go, whether that is to a camping trip or a theme park or even to an ancient city like Rome, always check in advance what child discounts there are. Doing so can help you prepare your budget accordingly and can help you save a few bucks in return. As any parent can attest, renting out a hotel or motel room with kids is a nightmare. They either need to stay on cots on the floor, in bed with you or in another hotel room. It can cause discomfort, and it can hit your travel budget significantly. That is why all families should start skipping the traditional hotel and instead aim to rent a property while they are away on vacation. It can be quite economical, allow everyone to have their own sleeping arrangements, and if you need it, a kitchen to make home-cooked food. Vacation homes can be found around the world on VacationRenter, allowing you to enjoy a home-away-from-home on your next big family trip. When exploring a city or even having a beach vacation, it is important to switch up your schedule. Having a beach day is fun, but remember to go through a market in the afternoon or go on a tour in the morning. This way your trip can be full, varied, and interesting. When you plan for these big trips, however, remember to take into account your child’s stamina. They might be bouncing off the walls in the morning, but as the day goes on, they might need a nap. By taking plenty of breaks, you can help everyone to recoup their energy to enjoy the highlights of your trip that much more. Family trips need to be fun for the whole family, and by following this guide, you can make that happen. Taking plenty of breaks when traveling with any age children is a must. We just take our time and go with the flow. Family trips are so much fun. My family loves to sit around and talk about all of our adventures, especially road trips when they were younger. We always like family trips and always pick places the kids will enjoy. Granted, sometimes they are in moods and don't like a thing, so we just leave them in the hotel room. I won't put up with bad attitude on vacation. And I love when I can find discounts! The first rule of a good vacation is planning and knowing the area you travel to. I did not get to the beach this summer but that is my next trip. These are great tips for sure. We have enjoyed so many family trips over the years. I love looking back and talking about our memories. I'd add, plan some family nights like you do at home. That brings some normalcy to your trip and reduces stress for everyone! Vacation homes are SO much better for long trips than hotels in my opinion. I need that washer & dryer + fridge to store food or we'd go broke! These are good tips to keep in mind for planning a family trip. I definitely like to take advantage of kids discounts. Breaks are key. I am one of those that likes to get up early and go, go. My daughter is the type that whats to sleep in so I have to make a concession by planning an afternoon break and not power through!! Excellent family trip tips! We always look into renting a vacation home instead of a hotel room. It offers more space and a full kitchen, so we can cook our own meals. I love your family travel tips. Renting a vacation home not only gives you lots of room for everyone but also lets you have some meals in, which saves tons of money too. Even if it's just one meal a day. These are good tips for traveling with kids. I like to ask for recommendations on Facebook. When we planned a trip to Philly recently I got a ton of tips on where to go and where to eat. These are all great tips! I agree about renting a vacation home, we typically stayed in hotels when travelling but three years ago stayed in a rental home and have never gone back to a hotel again. It is much easier to travel with kids, make meals and have down time with our own space and not a cramped hotel room. I totally agree with you: taking breaks is vital for vacationing with the family. Managing the entire household is hard when you're out on the road, so give yourself time to relax and enjoy. Child discounts are so helpful when we travel. I'll have to use your tips so our next family trip will be fun and run smoothly. I have not gone on a family trip since I was a kid. I really need to get everyone and go out sometime! I love a good road trip and I think my favorite part of the trip is the planning!! It looks like y'all have a great time on the trips you have taken as a family! 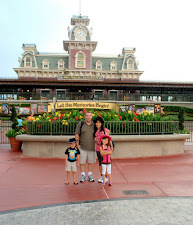 These are very good tips for parents who would like to take their kids on a fun vacation! It's important to plan activities that the kids will enjoy!